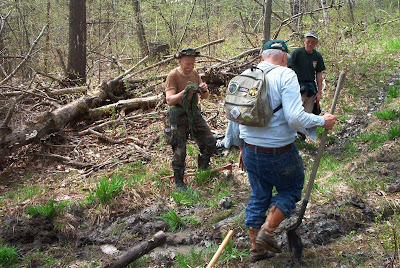 Colin Campbell has arranged four dates for trail work in coordination with Joe Hess, NYS DEC Ranger patrolling our trail. These are all in October; Tuesday 14; Mondays 20 and 27 and Wednesday 29. They will depend on weather so not all may work out but..... Some will involve some brush and branch lopping, another project - building one or two steps and another building one or two water bars with lumber supplied by DEC. All will be only short distances from trailhead access points. Anyone interested in three or four hours outside on one or two of these projects please call or e-m Colin, 438-9629/ holesinhead@aol.com.